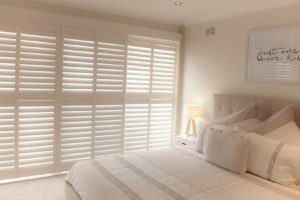 Available in a range of materials, from Basswood Shutters, Kiri Shutters, Western Red Cedar Shutters, PVC Vinyl SMRT Shutters and Aluminium Shutters. 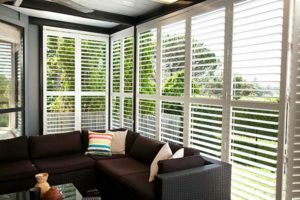 All Shutters Australia products are manufactured to our high standards, specifically for Australian conditions. Specialising in providing you with the highest quality custom designed and installed Window Shutters, Timber Blinds, Vertical Blinds, Panels Screens, Awnings, and Roller Blinds to suit your home. Polymer Shutters unique manufacturing process allows for the best shutter performance. The aluminium core provides increased strength and durability. 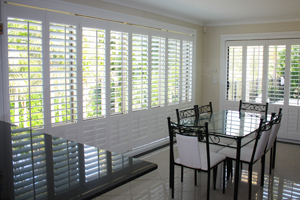 The shutters have the aesthetic appearance of real wood and won’t crack, split, chip or warp. Our polymer shutters are fire retardant and are made from a solid, non-toxic, recyclable material. Allure Basswood Shutters unique manufacturing process allows for the best shutter performance. 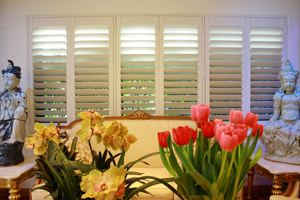 Allure Basswood Shutters will not crack, split, chip or warp. Aluminium Shutters are increasingly popular.Our high grade shutters are lightweight and extremely strong, they are long lasting and do not warp. As a result, they provide maximum comfort and protection from strong breezes and harsh light. The perfect addition for privacy and style.